Brush up on the language spoken by more than 14 million in the U.S. at these tropical paradises. The resort zone stretches for miles in either direction. 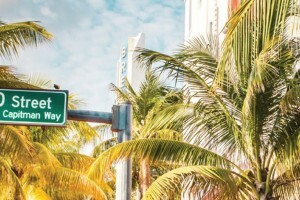 Oceanside, head north on the white sand beach and miles away, you’ll reach the Hard Rock Hotel and Casino. There isn’t too much to see on the way other than resorts and a brief shopping district just north of Presidential Suites. 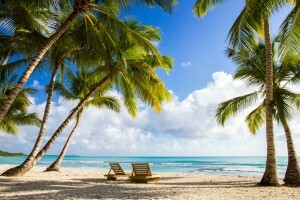 The sand is exquisite for a long beach walk, though, and the rule in Punta Cana is that the hotels can’t be built higher than the tallest palm tree, so a fantastic sunset isn’t blocked by a huge building. The local Dominican accent turns dune “buggy” into “boogie” and the mispronunciation is so common, it’s entered into the island lexicon: you’ll see signs offering “boogie” rides all over. 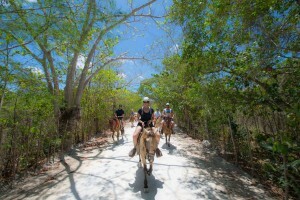 If you’re seeking a more relaxing boogie ride that’s convenient to the hotel zone in Bavaro Beach, head over to the Bavaro Adventure Park. Snorkeling, deep sea fishing, swimming with dolphins: the world is your oyster in the tropical Caribbean paradise that is the Dominican Republic. Scout the island and find abundant marine life, perfect beaches, warm, clear water, and vacation excitement around every corner. Tostones, or twice-fried plantains, are Dominicans’ favorite side dish. 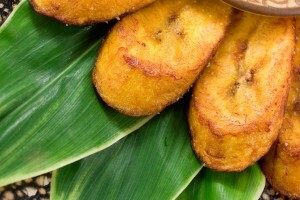 They are slices of plantain that are fried, flattened, then fried again. You can find them on street stands and at the dinner table in the Dominican Republic. Here’s a great recipe that includes a dip if you want to serve tostones as an appetizer. 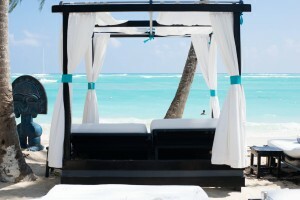 Presidential Suites is located in the heart of the action of Bavaro Beach, but the resort itself is sleepy and cozy. There is nightly entertainment provided by the hardworking employees, but don’t expect any wild parties lasting long into the night. Instead, find a relaxing atmosphere that begs visitors to slow down and take in the brilliant azure waters and bright white sand beach. 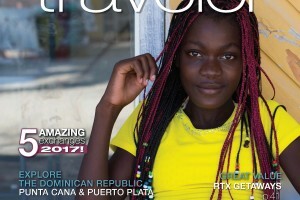 When our team plans each issue of RTX Traveler, we take a lot of factors into consideration. Where do we know our members love to travel, and what can we show them about those destinations that they may not already know? What destinations can we write about that may be new and unique to our members? What benefits and features can we highlight to remind members of all they can do with RTX, while maybe teaching them something new?